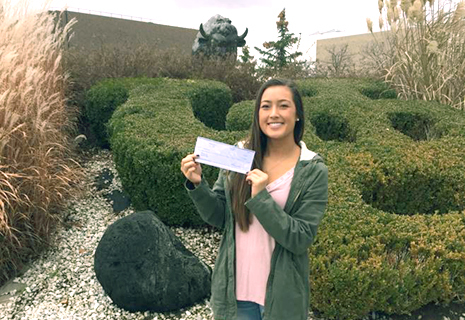 ORANGE COUNTY, Calif. and BUFFALO, N.Y.—DeviceLab Inc., an Orange County medical device design and manufacturing company, today announced Tessa Ooyama as the winner of its 2017 DeviceLab Biomedical Engineering Scholarship program. Ooyama, a senior Biomedical Engineering major at the University of Buffalo, will receive a $1000 award from DeviceLab. What are the trends for innovations for mHealth and wearable medical devices in the next three years? Ooyama’s winning essay explained her interest in mHealth and wearable medical device technology as solutions for quickly and accurately diagnosing athletic concussions. Ooyama said there have been two key factors in discovering her passion for this research. First, as a former NCAA Division I athlete “medically disqualified” after suffering multiple concussions, Ooyama is keenly aware of the flaws with current concussion diagnoses and the impacts of sustaining injuries. Second, her pursuit of a Biomedical Engineering and fascination with “how everything works” positioned her to take advantage of a Biosignals course project in which she could choose her own project. Expecting to graduate in May 2018, Ooyama said she has ambitions to attend graduate school to continue her Biomedical Engineering studies. Ultimately, she would like to be a collaborator on a medical device design and development team. This is the second year DeviceLab offered its scholarship program, which was created to both encourage and reward medical device engineering students pursuing educations that may lead to a better world, said DeviceLab founder and CEO Dac Vu.